The opposition leaders targeted Amit Shah over his statement of IAF attack at Pakistan. 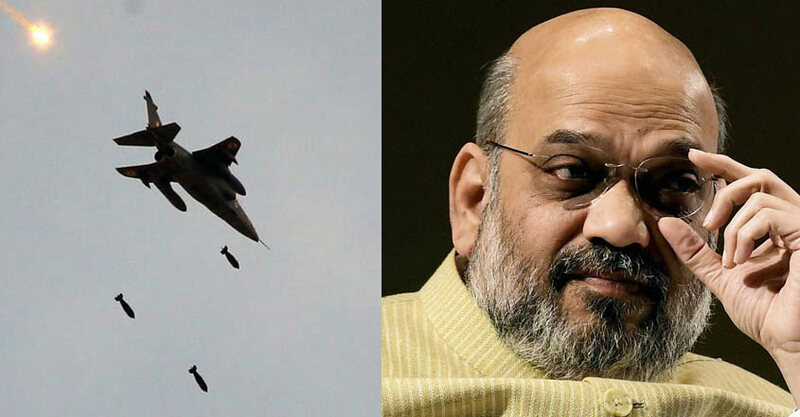 Shah had to say that after Pulwama attack no-one had thought about a Surgical Strike, but Modi did it by killing 250 terrorists without any casualty on our side. Shah on March 5 raved about the success of Modi Government by saying Pakistan had to return Wing Commander Abhinandan Varthaman after 60 hours of captivity by Pakistan. The opposition leaders targeted Amit Shah over his statement of IAF attack at Pakistan. His speech emphasized that a total of 250 terrorists were killed in the Balakot attack, where the opposition leaders are asking for the proof. Shah had to say that after Pulwama Attack no-one had thought about a surgical strike, but Modi did it by killing 250 terrorists without any casualty on our side. He also asserted like the first surgical strike in 2016; Prime Minister has also proved that he will not tolerate any terror. This statement leads to attacks over the Modi government by the opposition leader saying that Modi has misled people by not confirming the death rate of terroristS. On March 4, Air Chief BS Dhanoa have said over this that IAF feels it not necessary to clarify how many are killed rather what it sees is whether the target is achieved or not. After that other leaders such as defence Minister and Home Minister was reluctant to speak about the number of casualties found in the attack, Home Minister had also said that NTRO (National technical Research Organisation) had detected 300 active mobile phones in the area before the air strike took place. The Aam Aadmi Party’s Arvind Kejriwal, Congress Randeep Surjewala, RPN Singh, Manish Tewari and the rest questioned the government about Amit Shah’s statement. West Bengal CM Mamata Banerjee, BSP supremo Mayawati also took an active part in the issue. Mayawati is concerned as to why PM is silent over the matter? TMC Derek O’ Brian thought it to be a strategic plan to win the election. In contrast, BJP MLA General VK Singh defended shah’s statement by saying it to be a rough estimate that shah provide. 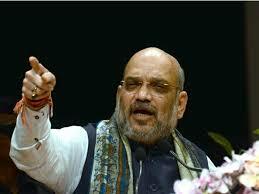 Besides the ongoing controversies, Shah on March 5 raved about the success of Modi government by saying Pakistan had to return Wing Commander Abhinandan Varthaman after 60 hours of captivity by Pakistan.